How did you learn you have bad credit? It probably happened at the worst of times, which is when you applied for a credit card to make that dream purchase of a 50-inch Smart HDTV or a new laptop and were not approved. The letter you get from the credit card issuer will have spelled out why it is you are denied. It could say things such as, “No recent revolving account activity,” or “Too few installment accounts”. While this might help you understand why you were not approved it won’t help you fix your bad credit problem. The first thing you’ll need to do to fix your bad credit is get your credit score and credit reports. Federal law allows you to get your credit reports free once a year under the Fair Credit Reporting Act. You can get yours from the three credit reporting bureaus – Experian, Trans Union and Equifax – or simultaneously on the website www.annualcreditreport.com. 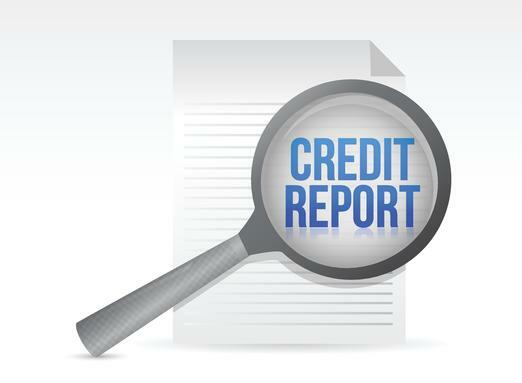 It’s important to get all three of your credit reports. This is because they could contain different information that’s impacting your credit score. It’s almost impossible to know which report the credit card issuer pulled. So you need to get and review all three to make sure they are accurate. There are a number of ways to get your credit score free. Discover card will give you your credit score even if you’re not a cardholder. You can also get it on sites such as Credit Karma.com and CreditSesame.com. But spoiler alert – These won’t be your true FICO score but they will be close enough for you to know where you stand. Experian will give you your true FICO score but you’ll need to jump through a bunch of hoops to get it and it will cost you at least $1. It probably took some time for you to develop bad credit and it will take some time to fix it. Don’t fall prey to any company that advertises it can fix your credit fast or get your credit score increased by 100 to 150 points in just a few months as it might be a scam. As you will read later in this article, there’s only part of your credit score that can be improved quickly but you may not be able to take advantage of it. If you find negative information in your credit reports that’s accurate it can be awhile before it “ages off” as you can see from the following list. Judgments – seven years it has been paid; if left unpaid probably longer. If you received the letter where you were denied credit., as mentioned above, you should have some idea as to why you were not approved. Beyond this, you need to know the five components your credit score is based on. They are, payment history, credit utilization ratio, age of credit accounts, credit accounts mix and your history of applying of credit. The most important factor is your payment history as it accounts for 35% of your score. There’s nothing you can do about your bad credit history because history is history. If you’ve abused credit in the past, there’s just nothing you can do about it. The second biggest factor is your credit utilization ratio. You can determine yours by dividing the amount of credit you have available into the amount you’ve used. As an example of this, if you have $10,000 in credit available and have used $4000 of it, your credit utilization ratio is 40%, which is too high. There are two ways you could improve your ratio – pay down some of your debt or get new credit. If you could do either of these, your credit score should get a nice boost. A third part of your credit score is the age of your accounts or how long you’ve had them. There’s not much you can do about this, either, but you could do something about the third component of your score, your credit mix. There are two major types of credit – revolving accounts such as credit cards – and installment cards like your auto loan. Lenders like to see that you’ve had different kinds of accounts. If you have, say, just credit cards then adding a car loan or some other type of installment loan could help your credit score. The final component of your credit score has to do with your recent history of applying for credit. If you’ve applied for your credit reports a lot recently this may be negatively affecting your score. While there’s nothing you can do about this, although they will stop hurting your credit score as they grow older. – You must dispute each mistake with each credit reporting bureau. You might find the same error in all three of your credit reports but disputing it with just one of the bureaus won’t fix the others. – You can’t dispute multiple errors on one credit report with just a single letter. People often find multiple errors on one of their credit reports. If this proves true for you, you’ll need to dispute each account separately. However, if one account has multiple errors you can put them into one dispute. – You don’t need to do this alone. While you can dispute errors in your credit report yourself you may find the process to be very confusing, too tiresome or too tedious. If you feel this way you could get help from a credit repair company or a lawyer that specializes in this type of case. Even though you may have been turned down for one kind of credit this doesn’t mean that you can’t get other types. Opening new credit can help fix your credit quicker if your credit utilization ratio or account mix is hurting your score. In fact, there are credit cards designed specifically for people who have bad credit but would like to fix it. They are called secured credit cards as they require a deposit. Once you use up that deposit you will need to add more money to your account or stop using the card. If you choose to get one of these cards, make sure that how you use it will be reported to the credit bureaus. Also, it’s critical that you make your payments on time and you keep an eye on your credit utilization number. If you’re not careful there are mistakes you could make when fixing your bad credit and here’s a video that reveals 10 of them. Q. Where to get bad credit loans? A. There are a number of sources online for bad credit loans. Three of the most popular of these are Badcreditloans.com, Peerform.com (a peer-to-peer lender) and Avant. At least one website ranks Avant as tops for secured bad credit loans. Q. 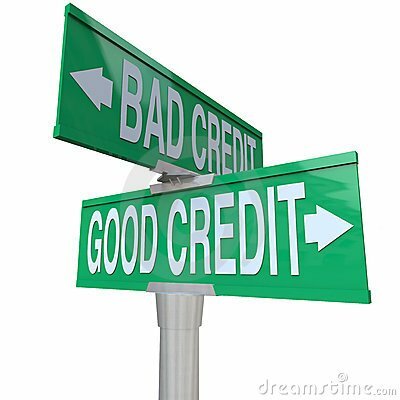 What does bad credit say about a person? A. If you have bad credit this doesn’t say that you’re a bad person. What it probably says is that you may be disorganized, careless or that you’re living beyond your means. There are many famous people that have bad credit including actor Nicholas Cage, Toni Braxton. Richard Hatch and Wesley Snipes – none of which would be able to get a credit card because of their credit history. Q. What does bad credit really cost you? A. Having bad credit can actually cost you thousands of dollars over the course of your lifetime. The reason for this is that you’ll be forced to pay high interest rates on any credit you’re able to get. For example, if you get an auto loan as a subprime borrower (one with a low credit score) you’d probably pay 10% to 13% versus the 4% to 5% you’d pay if you had a good credit score. When will bad credit go away? As you read earlier in this article it generally takes seven years for bad credit to “age out” or go away from your credit reports. The exception to this rule is a bankruptcy, which takes 10 years to age out. However, the effect of a bankruptcy on your credit score decreases as the years go by. In other words, after five years it won’t have as much of an impact on your score as it does after two years. Q. Why is revolving credit bad? A. There is nothing inherently bad about revolving credit such as a credit card. It only becomes bad when you fail to pay off your balance on time. This creates debt and probably high interest debt. A credit card can be a real friend if you do pay off your balance each month. It can earn you cash back, points or airline miles. It’s also a way to time shift debt from now until several weeks in the future.